January is recognized as National Bath Safety Month. Water and smooth surfaces can together convert the bath into a risky place. The most frequented room of the house, bathroom, is believed to be the most dangerous too. Bath safety is an integral part of general home safety. A study points that one-third of falls occurring at homes occur in the bath. A report submitted by the Consumer Product Safety Commission sites that, in the United States, an average of 370 people (across all age groups), suffer bathtub or shower-related injuries every day. Slips, falls and hot-water burns are accounted as the prime reasons for accident in the bath. It is the second leading cause of accidental death and disability. All family members, despite their age or health are at risk. Bath safety products play a vital role in ensuring the safety of a person while in the bath. People with limited mobility need to be extra cautious when it comes to bath safety; in the bathtub; shower and toilet. These areas of the bath should be tailored to suit individual requirements. Check if you have any fixtures in the bath that are difficult to reach, use or clean. Use anti skid flooring material in the bath. 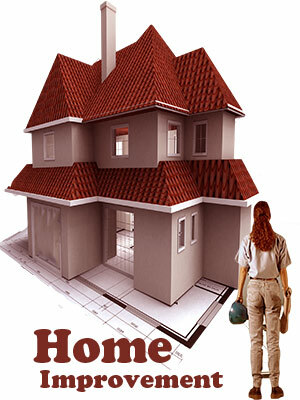 Avoid obstacles in the floor plan thus ensuring free movement in the area. Install grab bars inside the bathtub and shower. Use non-slip strips in your tub or shower. Select impact-resistant shower and bathtub attachments. Put a bath mat with non-skid base next to the bathtub and shower. 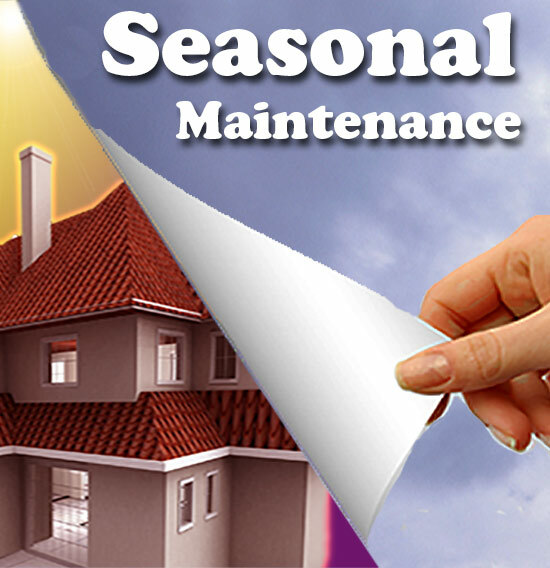 Install scald-prevention devices, these devices will keep a check on the water temperature. Electrical switches and plugs should always be kept away from water sources. Make sure all electrical outlets have ground fault circuit interrupters. 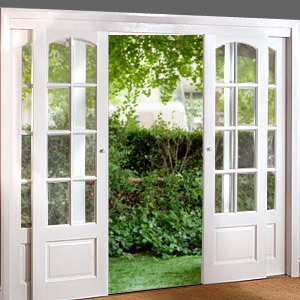 Use door locks that can be unlocked from both sides. Bath safety is of vital importance for older persons. Over 75% of slip-fall deaths happen to people who are 65 years and above. The bath area of the house can prove to be extremely hazardous for elderly people if it is not modified to suit their requirements. Bath safety for people who are elderly or have disabilities is further complicated by issues such as medication side-effects, reduced physical ability and diminished vision. Transfer bench: A transfer bench with adjustable legs is useful for elderly people. They have to sit on the portion of the transfer bench that extends outward and slide into the tub. Bath mat: Latex coated or non-skid bath mat can be placed alongside the tub, this will provide firm footing. Non-slip suction mats or rubber silicone treads fit to the tub will prevent falls. Shower head: A portable, hand-held shower head is convenient for use. Grab bar for use while in tub: An angle bar fixed to two walls offers support while standing to shower and for sitting and getting up in the bathtub. 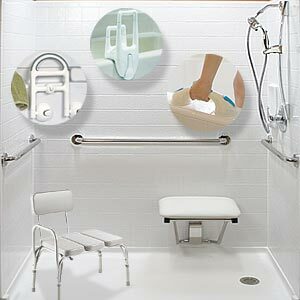 Grab bars for moving around: For elderly people grab bars should be mounted on walls around the tub. Grab bars around the bathtub are required for the safety of older persons. A vertically placed U bar, fixed to the side wall at the base of the tub, ensures safe entry and exit. Horizontally placed support bars are appropriate for lowering or raising the body in the tub. Diagonally placed grab bars are not suggested as the hand may slip thus increasing the chances of a fall. Tub Seats: Numerous types of portable seats, chairs, and benches are available for people who find it difficult to sit on the bathtub floor. Inside-the-tub chairs with back support offer great comfort. Shower chair: Chairs with backs that can be placed inside the tub are available in the market; these chairs give the bather a comfortable feel while in the shower. Be sure to check for non-slip rubber tips on the legs of the chair or bench as they provide ample safety. 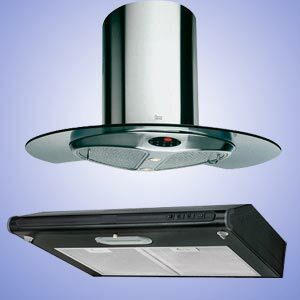 Bath lifts: Mechanical bath lifts can help in lowering the person into the bathtub. Some elderly people might have reduced feeling in their hands, and thus they may misjudge the water temperature. A bathing thermometer or plastic water monitor will help them to check the right water temperature before they step into the bathtub. There are quite a few bath safety products that are essential in a bath, listed below are a few necessary products that ensure safety in the bath. Transfer bench: Ensures safety while getting in and out of the bathtub. Walk-in bathtubs: A type of accessible tub which is easy to access since you need not climb over the edge of the tub to get in and out. You just have to 'walk-in' through the water tight door of the tub, sit on the raised seat and fill up the tub with water. The raised seat in this bathtub is perfect for people who have trouble sitting down in the tub. Few versions of raised bathtub seats have back rests. Hand held showers: Handy devices such as handheld showers can ensure additional safety in the bathtub. These showers are mounted on the wall and can be used for seated washing. Most of the kids enjoy their bath time though a few might dread the thought. Regardless of what they feel, few bath safety procedures have to be followed to ensure their safety. Never let young children use the sink or tub without help. Never leave the child unattended until the child turns six or above. When a child is in the tub, stay in close quarters so that you can reach the child when required. Before bathing children, bring everything required for their bath (soap, towel, toys, shampoo, diaper and any other item that you might want). Keep these items in a place where you can easily reach them. Quite a few types of bath seats and rings stick on to the bottom of the tub with suction cups; they provide support for the bathing infants and toddlers. These suction caps might come off at times; hence make sure to be there next to the child while the child is in the bath. Minimize the risk of scalding by setting the temperature of the water heater to a maximum of 120 degrees Fahrenheit. A plastic water monitor or a bathing thermometer will help you check the water temperature in the bathtub. Fill the bathtub with water and adjust the water temperature to the desired level before your child gets in. Do not allow the child to handle the faucets if the child is very young. As the child grows up, teach faucet controls to the child. Inserting a soft, insulated faucet cover over the bathtub faucet is a sensible safeguard against accidental burns or bumps. A rubber mat or non-slip adhesive strips attached to the bottom of the bathtub can prevent bathtub fall. They are available in a variety of colors and designs. A non-slip bathroom rug placed by the side of the tub can prevent a fall on getting out of the tub. All medicines and cleaning products should have child safety caps and should be stored in a place where the child cannot reach. Make sure all the electrical devices are stowed in safe places, away from the bathtub.